Each year, alumni, parents, and friends show their support for our boys and teachers by making a gift to the St. Mark’s Fund. The Fund accounts for more than 11% of the School’s operating budget, which makes it a critical component of daily life at the School. The St. Mark’s Fund provides unrestricted funding to help offset the cost of educating each boy. Last year parents, alumni, and friends of the School contributed $4 million to the Fund, the second time in School history. 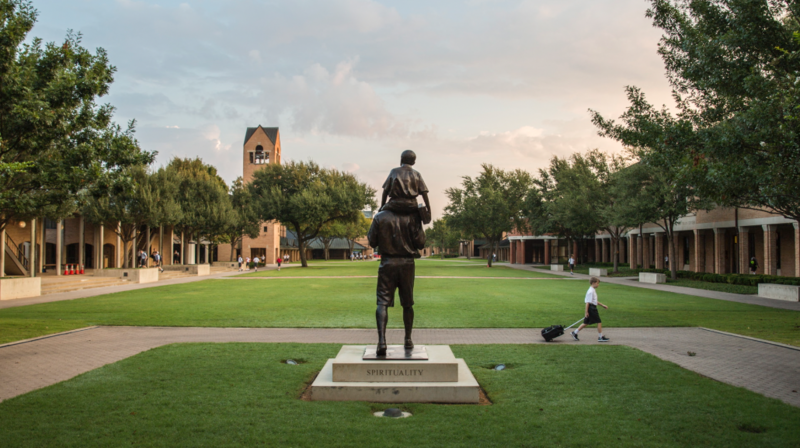 The School depends on these gifts to meet current needs on campus and enrich the day-to-day intellectual, social, and personal development of every student. For more information about matching gifts, transferring stock, or the St. Mark’s Fund, contact Christina Jarke, Director of the St. Mark's Fund, at 214.346.8273 or at JarkeC@smtexas.org. Volunteers encourage community participation in the long history of philanthropy at St. Mark’s and make an enormous impact on the classroom experience of current Marksmen. 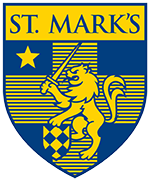 If you are interested in serving as a St. Mark’s Fund volunteer, please contact Christina Jarke, Director of the St. Mark's Fund, at 214.346.8273 or at JarkeC@smtexas.org. Why should I support the St. Mark's Fund? The St. Mark’s Fund serves as the School’s annual fundraising priority and more than 11% of the School’s overall operating budget. 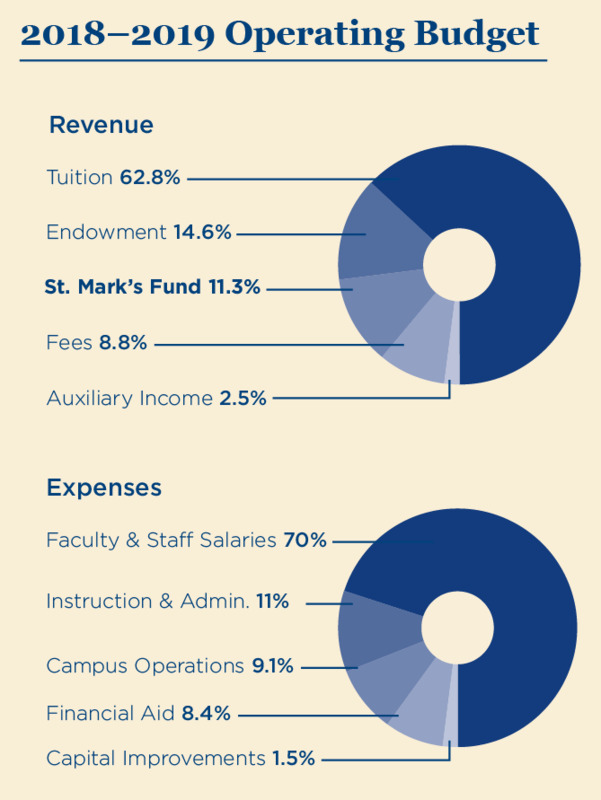 Each year, revenue from the St. Mark’s Fund and income from the endowment offset the full cost of a St. Mark’s education. St. Mark’s directly invests every gift back into the educational needs of current students. Each year, the St. Mark’s Fund provides operating income for the School that is equivalent to an $80 million endowment. In 2017-2018, 89% of all parents and 56% of alumni contributed to the Fund, and gifts of less than $1,000 collectively added up to nearly $370,000. How does the St. Mark's Fund impact the School's budget? Make a bigger impact with a matching gift. Many companies match cash gifts from employees to qualified non-profits. Find out if your company will match gifts to St. Mark's.